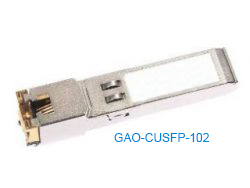 This 1.25 Gbps Copper SFP transceiver is used to span up to 1.2 Miles (2 Km) over the unshielded twisted pair of Cat 5 Cable. 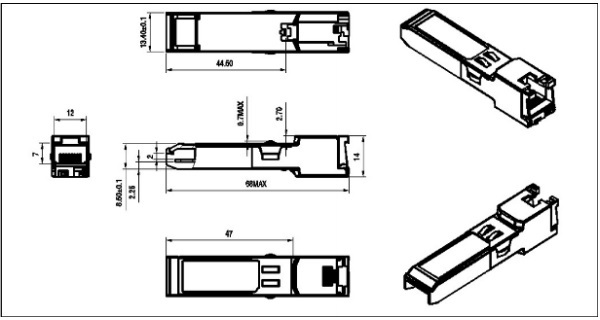 This Copper Small Form-Factor Pluggable (Copper SFP) support a SERDES and is compatible with the Gigabit Ethernet Standards specified in IEEE STD 802.3, 1000BASE-X auto-negotiation and ROHS Standards. 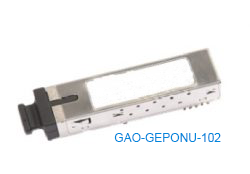 The GAO-CUSFP-102 has an input voltage range of 3.3 V +/- 5%. 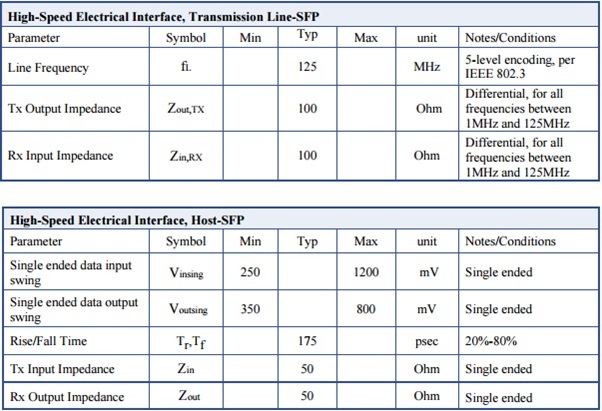 The 4V maximum voltage is not allowed for continuous operation. 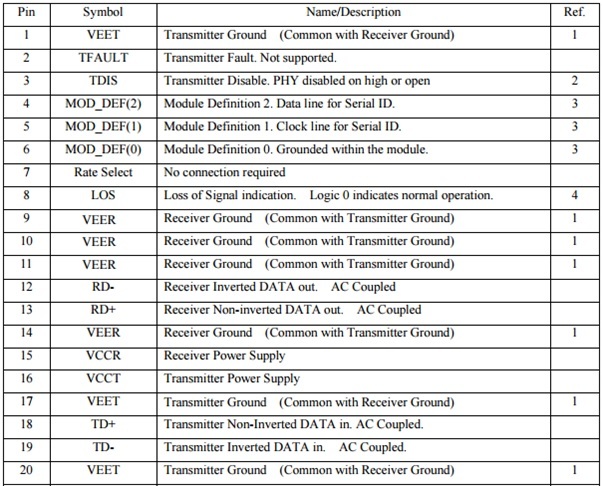 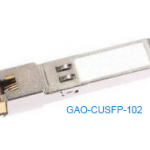 GAO-CUSFP-102 supports the 2-wire serial communication protocol outlined in the SFP MSA. 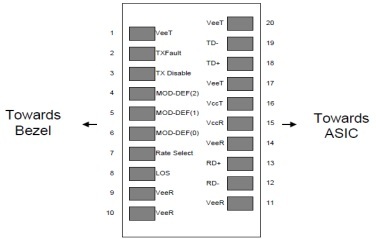 It uses an Atmel AT24C02B 256 byte EEPROM with an address of A0h.